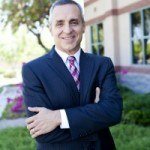 Helpful Tips for Depositions | Business Lawyers, Denton Peterson, P.C. Depositions are often a vital part of a lawsuit as they allow a witness to relay key facts related to the lawsuit. Depositions are a discussion between an attorney(s) and a witness (the deponent) related to the facts of the lawsuit. They are an important part of the discovery process. If you find yourself in a deposition, chances are you will be nervous and most likely not pleased. The deposition could last for hours sitting in a chair (the proverbial hot seat) answering questions. It also means that your words are being recorded by a court reporter and can be used in court. This article discusses some helpful tips for individuals who find themselves in a deposition. The first tip is to be prepared for the deposition. This does not mean that the deponent can anticipate every question that is going to be asked. To be prepared means that the deponent has met with his/her attorney and discussed a strategy for the deposition. Being prepared also means understanding proper form and manners for a deposition because, like proper dinner-table manners, these are important to a deposition. Your attorney may have you review certain key documents in preparation for the deposition so you are not surprised by anything. Oftentimes when individuals get nervous or emotional they tend to not speak clearly and/or not convey properly what they know. It is important for the deponent to answer the lawyer’s questions with either a “Yes” or “No.” A nod of the head is not sufficient for a deposition because a court reporter cannot record in writing a nod of your head. Other similar non-verbal responses are not appropriate for a deposition. Although the deponent may be inclined to say more than they are asked, this is not required and often is not recommended. Keeping answers short and simple is often the best advice for a deponent in a deposition. It is best not to get too emotional in a deposition. It is not good to either laugh or cry in a deposition. If you think you may cry during a deposition bring a water bottle and drink some water. It is hard to cry and drink water at the same time. It is also important not to laugh or make fun of the lawyer’s questions. Such behavior reflects poorly on the person being deposed. The deponent does not need to answer self-incriminating or harassing questions. The deponent should consult with their attorney to know whether they must answer a question or not. It is important to know going into a deposition that a deponent cannot take a break to get out of a question and meet with their lawyer in private. While the deponent may ask to take a break, it can only come after the deponent has answered the question asked. It is also important for the deponent to not bring anything to the deposition because anything that the deponent brings to the deposition may be examined by the deposing attorney. Before deponents answer any question, they should make sure they have a clear understanding of the question. Oftentimes confusion may ensue if the deponent is not clear about the question that is being asked, or misunderstands the question. It is also important to not interrupt or answer before the question is asked in its entirety. The deponent should take a few seconds to think about the answer and then answer the question. Most people go their entire lives without being in a deposition and it is quite unlike other legal situations, such as jury duty. It is therefore important to understand the basics of it and to sufficiently prepare to have an experience that is as good as possible—or at least, as minimally miserable as possible. Not only will this help the deponent better tell their story, but it will help the deponent be more confident in an often unfamiliar situation. The Mesa litigation attorneys at Denton Peterson, P.C. have helped hundreds of clients prepare for their depositions. If you need assistance with a deposition, please call us for advice at 480-325-9900.